The University Hospital of Zurich (UHZ)is a leading health-care institution, known for applying cutting-edge medicine with a personal touch, and for utilizing and developing highly specialized and up-to-date research. The UHZ has pioneered breath analysis, having published several highly influential papers on sleep, respiratory diseases, and other metabolic studies based on breath analysis with Secondary Electro-Spray Ionization and High Resolution Mass Spectrometry (SESI-HRMS) over several years now. It is an honor for us to be able to serve the UHZ with a SUPER SESI and an Exhalion coupled with a Q Exactive Plus. 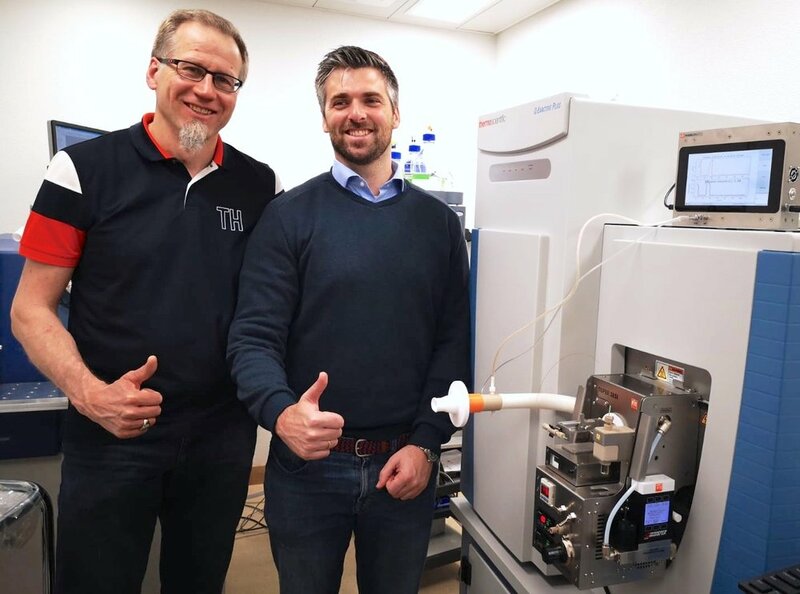 We hope this will allow UHZ researchers to further push the frontiers of knowledge and to advance diagnosis and non-invasive precision medicine! We worked closely with Thermo Fisher Scientific to make sure that the researchers obtain the best system and the best service. Thermo and Fossiliontech are different institutions. Nevertheless, we have been able to work in perfect synchrony. We thank our colleagues from Thermo Switzerland for this.